A Pension, Recipes & Rose Trees! 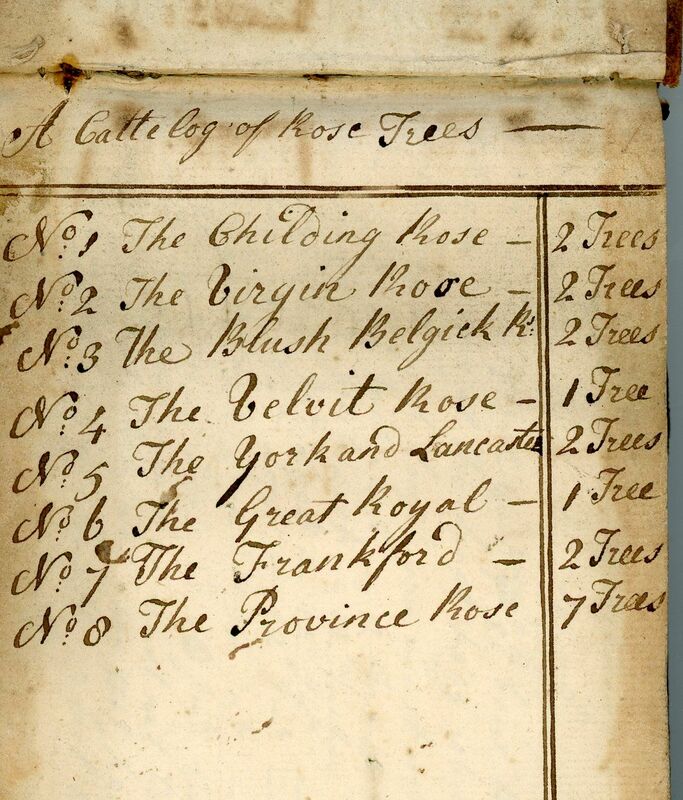 Home / Collections / A Pension, Recipes & Rose Trees! 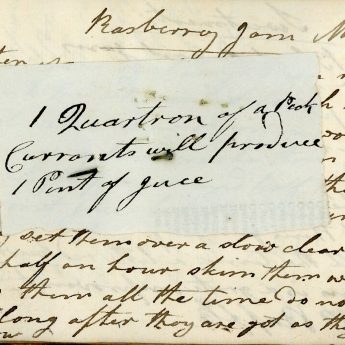 This little manuscript notebook has been put to various uses by several people from about 1803 onwards and is a mine of weird and useful information from how to stew ducks, how to revive gilt frames (egg white and chloride of potass apparently! 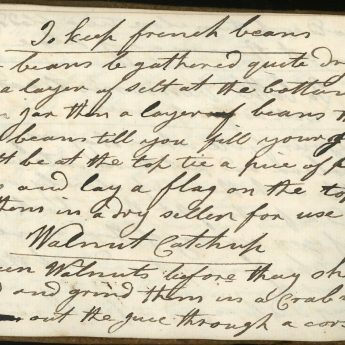 ), how to make “walnut catchup” as well as recipes for such delights as Bath Hasty Pudding, Duck Punch and “A Nice Dish”. 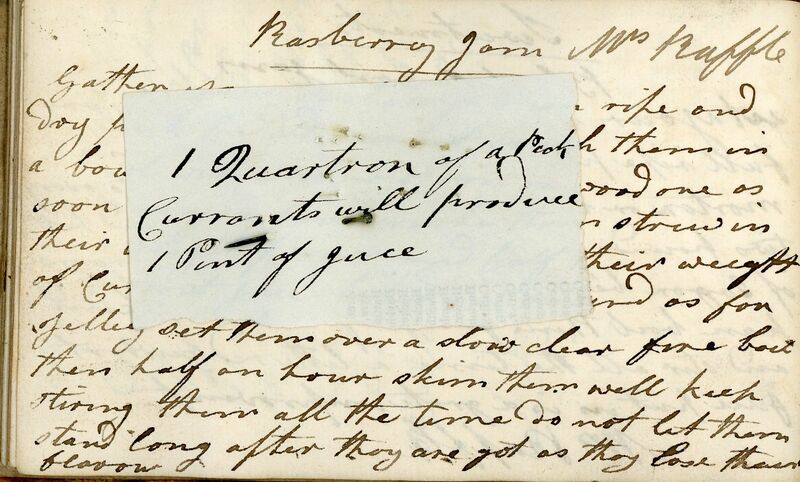 Many of the recipes are credited to Mrs Raffle (Mrs Elizabeth Raffald, author of The Experienced English Housekeeper perhaps?) 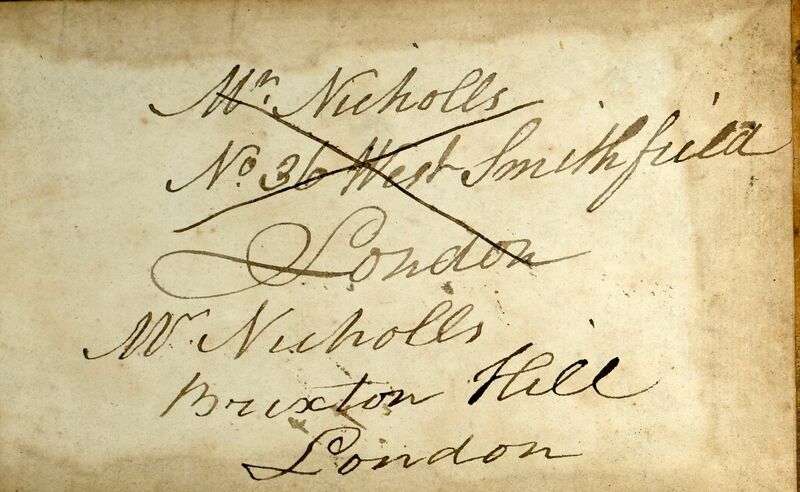 but others have been sourced from Mrs Husband, Miss Dyson, and Mrs Woodcock amongst others. 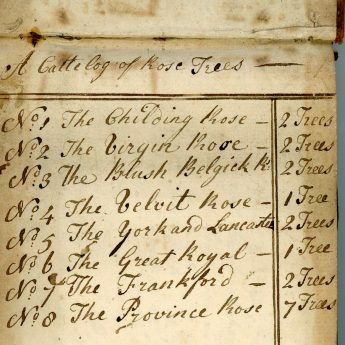 One page is devoted to “A Catalog of Rose Trees”, another to “Directions for making a Cast Nett” but perhaps the most fascinating section of the book is the annual accounting by William Fenney of his pension from the 2nd Life Guards as a retired trumpeter. 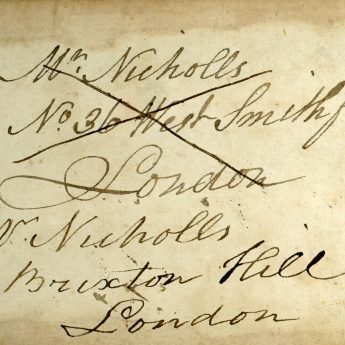 Between 1803 and 1827 he drew £36.10s annually, rising to £36.12s each leap year. Just to add to the quirkiness, one contributor has used the book from one end whilst another has turned it upside down and started from the other end with just a few blank pages in between. 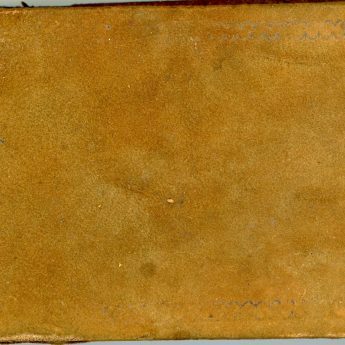 Still in its original calf binding but with wear along edges and spine ends and age toning to the first and last leaves. 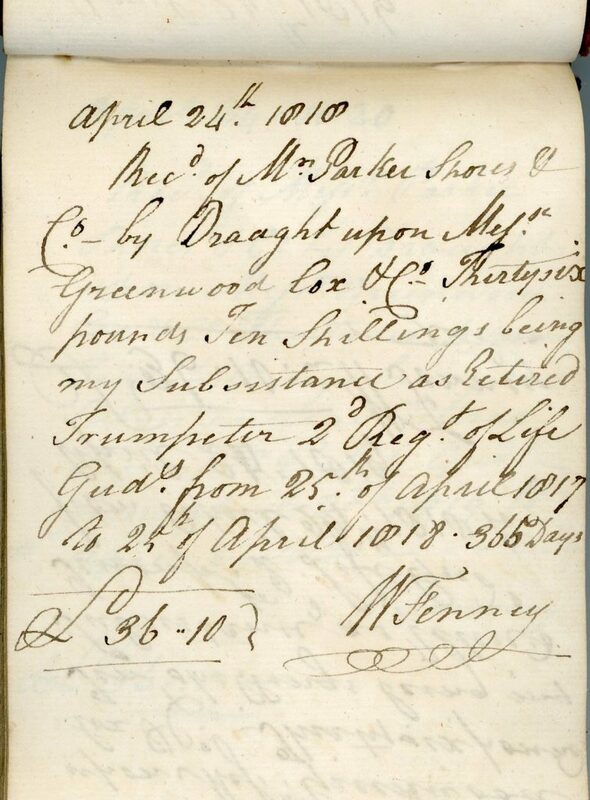 The text pages remain clean and legible. 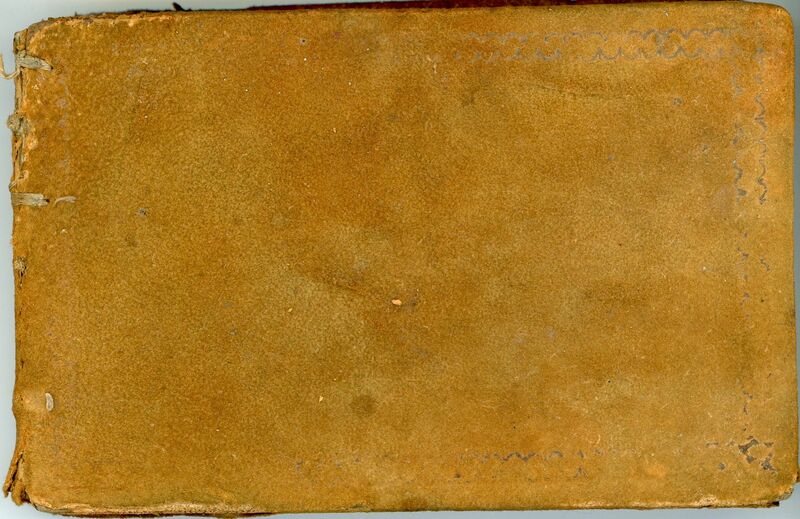 It’s possible that some pages may have been taken out of the book or the binding may just be strained.